It was a cold and snowy new year's night. The people were passing by with their warm coats gloves and scarves they were all in rush to go somewhere to celebrate the New Year. 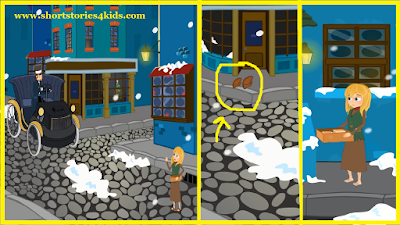 Children were running around the streets throwing snowballs at each other playing and laughing. But on the streets, there was a girl different than the ones that were playing. This little girl was standing in the middle of the street watching the other kids play. She did not have a hat to protect her from cold like others. 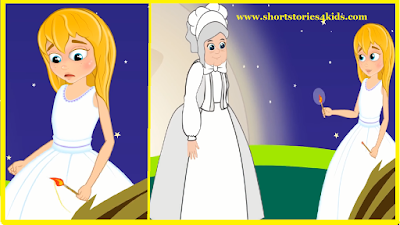 Her clothes were light and ripped, the slippers on her feet didn't fit her, they were big. 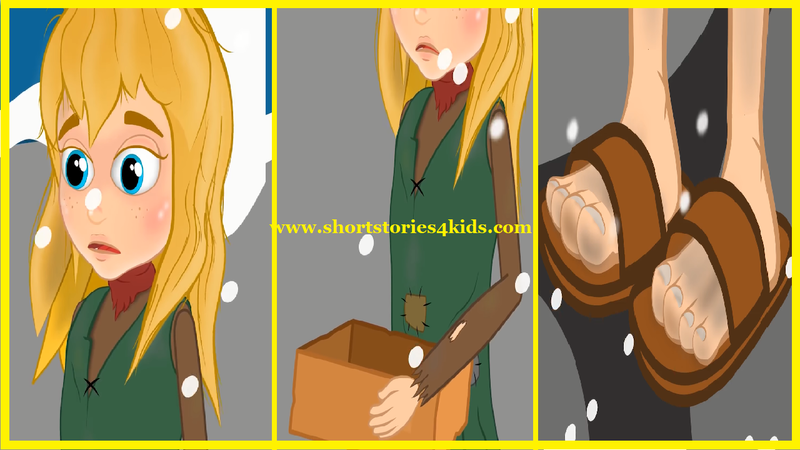 She was holding a box in her hands shivering from the freezing cold. The little girl barely noticed the car coming right on her. The little girl ran towards the sidewalk, but while she was running the huge slippers on her feet flew off. Having no choice she walked in barefoot. She sought a shelter next to a wall. She opened the box that she had been holding, the box was full of matches. 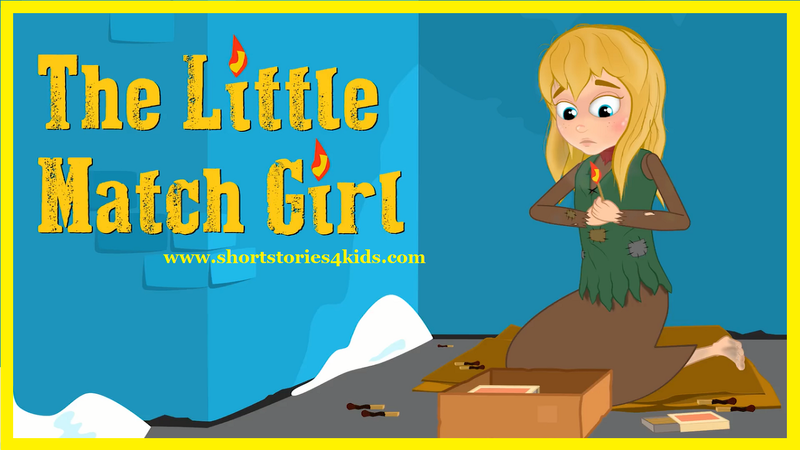 This was the little match girl, but she could not even sell one box of matches that day. If she could make a sale and earn money she could go home and at least have a bowl of soup with her mother. 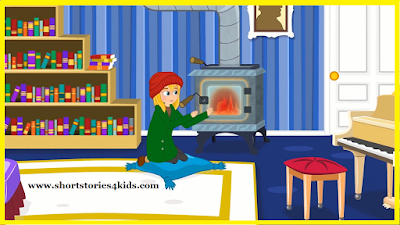 So she started yelling with her thin shivering voice," Matches, anyone wants Matches.". Nobody on the street paid any attention to her, so she sat next to the wall. Her fingers started to ache from the cold, she could not bear the pain anymore. She opened a box and pulled out a match and lit it on the wall and suddenly a warm orange light surrounded her. 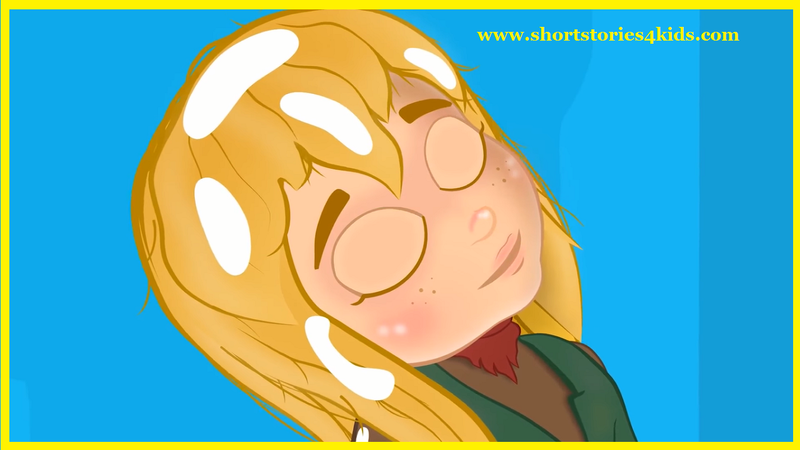 She stared at the fire and started dreaming. She was sitting in front of a big stove in a beautiful room, she had a warm sweater and furry boots on her feet and a beanie on her head. It was so hot she began to sweat, but suddenly the match went out. With the match out those dreams also vanished. Once, again she lit up another match. While she was looking at it the wall suddenly vanished and opened up, there was a big room inside. 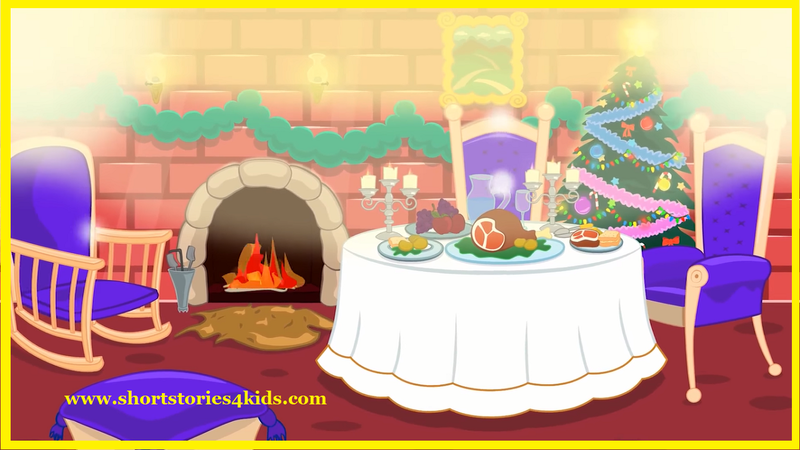 There was all sort of food spread on a table with a white cloth and the silver candlesticks on the table lit up the room like daylight. There was a beautifully grilled big piece of meat. She immediately ripped a piece of it and put it in her mouth, suddenly she wasn't hungry anymore. 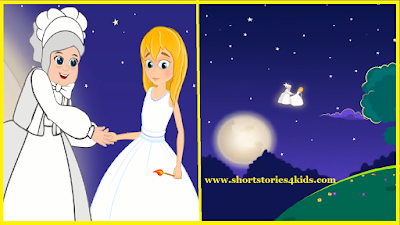 The little match girl wanted to take another piece of meat, she reached out but the match she had in her hand went out pretty fast. The feast on the table and the room vanished. Poor girls hand brunt and she threw the match away. Little match girl lit another match. Now she was sitting under a tree on a summer night looking at the stars above. 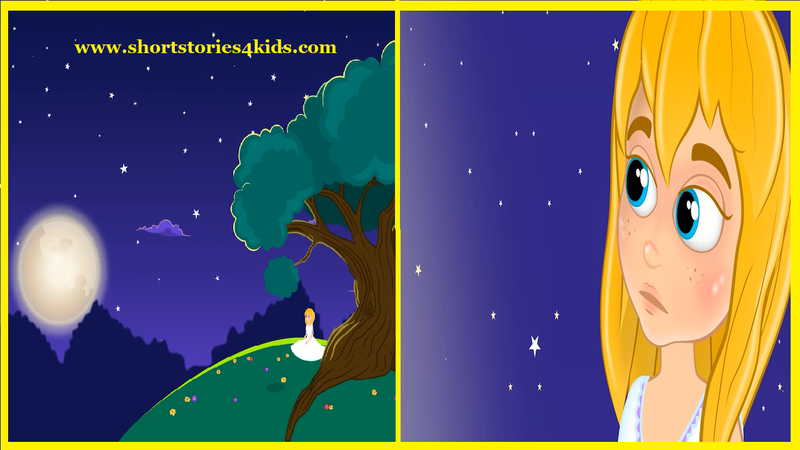 The little girl could not take her eyes off the star. She never saw the sky and stars so clearly sparkling before. She also saw her grandmother there. Her grandmother was visible for a little moment and then she disappeared. To see her grandmother one more time she lit up another match and started dreaming once again. Every time she lit a match she felt as if she was seeing her grandmother and hearing her voice. She did not want this moment to finish, so she lit up the final match in a hurry. Her grandmother appeared in front of her again. She reached out her arms to hold the little match girls hand. They started to fly up into the sky together. 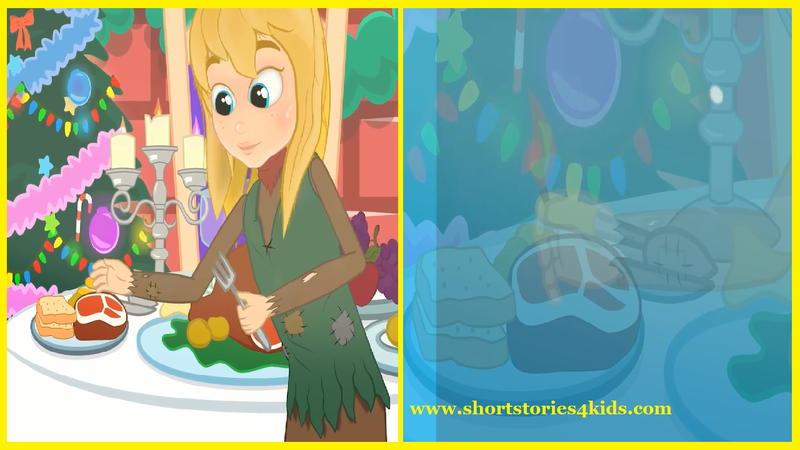 The little girl felt sudden relief there was no cold or hunger anymore. 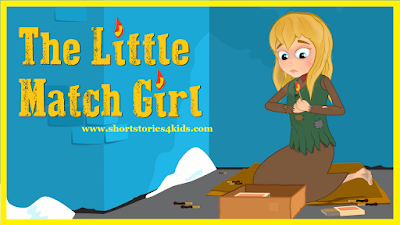 In the morning the people who passed by on the street saw the little match girl laying down by the wall. Her eyes closed but with a sweet smile on her face. She had a lot of burnt matches around her. The matches which lit their flames brought her dreams alive that no one would ever dream about. 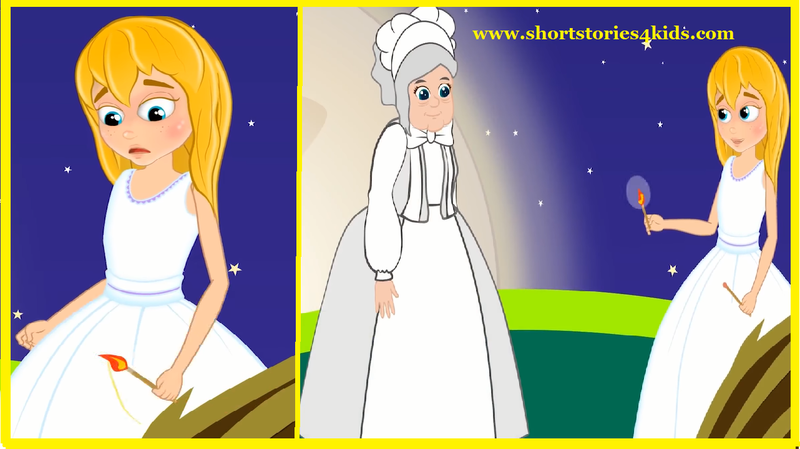 I hope you all enjoyed the story The Little Match Girl- Short Stories For Kids.